What is Freediving Gold Coast’s cancellation policy? Cancellations on freediving courses within 72 hours (3 days) of the start date are non-refundable (100% loss of funds). We will charge a 100% per person cancellation fee. Cancellations on confirmed bookings more then 72 hours (3 days) from dive date/time are 100% refundable. Rescheduling of your booking within 72 hours of the course date incurs a $50 fee. All cancellations more than 72 hours start from dive date/time must be received by telephone or email. Contact us between 8.30 am and 4:30 pm Monday to Thursday by phone or send an email requesting the cancellation to dive@freedivinggoldcoast.com.au. Please include full name under which the reservation was made, email address, the date and name of package, the credit card information, the amount of the transaction, a telephone number where you can be reached (if necessary). If dive days are cancelled by us (e.g., due to weather or adverse sea conditions) and can’t be rescheduled due to your unavailability a 100% refund (for the dive components within courses) will be issued. What is the minimum age for freediving courses? Minimum age to be registered on a freediving course is 16 years. If you are between 16 to 18 years you must have parental or legal guardian consent to participate in a course. In the near future, If you are 12 to 16 years old it will be possible to participate in a freediving course but your parent or legal guardian MUST be with you on the day of your course and also be undertaking the course at the same time as you to supervise you. What freediving equipment do I need? For our Intro Freediver or Ocean Freediver course you may use either scuba style or freediving equipment. For more advanced courses you must use freediving equipment. You are welcome to bring your own dive equipment or Freediving Gold Coast have for hire, prior to dive days, masks, and long freediving fins. Weight belts, weights, and snorkels are provided for complimentary use during all freediving courses mainly because our specific freediving equipment is more suitable to meet pool regulations (no hard weights are allowed in the pool). Flexible scuba diving snorkels also do not work well in freediving. If you have smaller feet than the 37-38 size then please bring a pair of sport socks to help hold them on. Also we have limited numbers of fins and if everybody has the same sized feet you could miss out so please book fin sizes prior to your freediving course. Freediving Gold Coast also have 5mm wetsuits for hire. For more details see the next section. What about wetsuits? Where can I rent a 5mm wetsuit? YOU MUST HAVE A WETSUIT ON ALL OUR COURSES: MINIMUM 5mm for ocean days / courses. 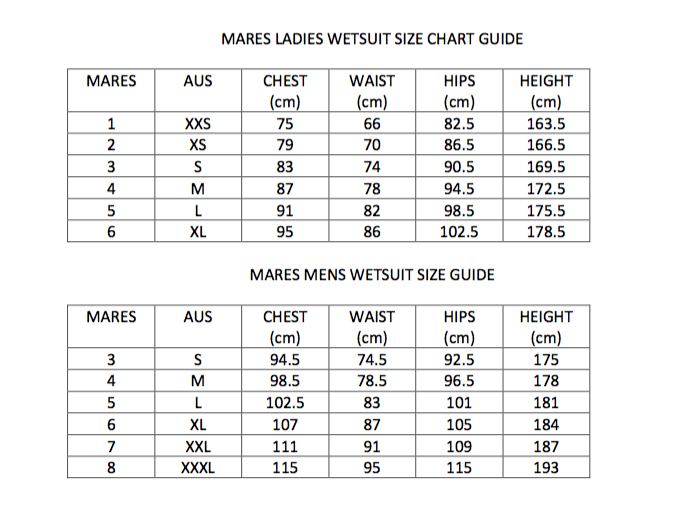 Freediving Gold Coast now have 5mm wetsuits for rental! Cost is $25 for hire, per freediving course (which means you get the wetsuit for both the pool and ocean sessions inclusive). The Gold Coast Aquatic Centre is heated to about 28 degrees centigrade so a 3mm steamer wetsuit is fine for the pool. For all ocean courses you MUST wear a 5mm scuba diving wetsuit or a 3mm freediving wetsuit (minimum). A 3mm steamer or scuba diving wetsuit is not suitable. You will be very cold and it will make it very hard for you to relax on your course. Do not accept sale of a 3mm steamer / wetsuit for ocean Courses or the diving Wavebreak Island as these are completely unsuitable for freediving and you will be very disappointed. Salespeople may suggest that they are suitable for snorkelling and that a 3mm will be fine – You are not snorkelling – you are freediving and freediving is a very different recreational activity to snorkelling – so avoid 3mm! A 3mm freediving suit in “open cell” wetsuit will be fine for 9 months of the year but in the middle of winter when water temperatures drop to possibly 18 degrees centigrade we strongly recommend a suitable vest underneath. A 5 mm ‘open cell’ freediving wetsuit is best – especially for those who feel the cold. Where can I rent a 3mm wetsuit? 3mm wetsuits only (suitable for pool courses only) – Call Southport Fishing and Dive, 95 Marine Parade Southport (Ph 07 5531 2333). Danny has plenty of 3mm steamers which are only suitable for pool sessions. Southport Fishing and Dive is located about 8 minutes walk north of the Gold Coast Aquatic Centre. Factor 30 Sun Protection lotion. Travel Calm Seasickness tablets (original) or equivalent taken before going out on all Open Water courses. If you get seasick we will not be able to return to land until all diving is completed. Some snack food/light lunch. We recommend that you have a good breakfast but light food during the day. Again big meals interfere with breath holds. We will be providing tea and coffee with biscuits on all Open Water and Wavebreak Island courses. Please note that space is very limited on the boat. Please change into your wetsuit before getting onto the boat and leave all clothes, towels and bulky bags onshore. Unless otherwise stated, all freediving courses at Wavebreak Island and Ocean/Open Water freediving courses will require pick up by our boat (this is included in any course costs). 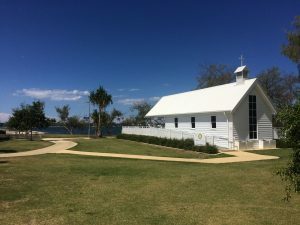 The pick up point is less than 10 minutes walk or 600 metres north of the Gold Coast Aquatic Centre in the area directly behind the Rotary Broadwater Chapel and the Southport Amateur Fishing Club at the waters edge. This is slightly north of Southport Fishing and Dive. A Google Map search will easily find these places. There is a little cove here for access to and from the boat. There is a conveniently placed picnic table for you to sit at and some covered picnic tables nearby. There are also toilets, and cold showers in this location while cold drinks can be purchased from Southport Fishing and Dive (or wetsuits rented if needed). 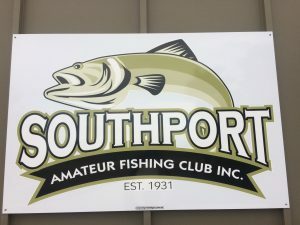 There is plenty of free parking to the left (or north) of the Southport Amateur Fishing Club in Mitchell Park. Alternatively, the closest light rail station is the Davenport St Station which is also conveniently located close to the bus network. Your confirmation letter when you pay for a course will also confirm the boat pick up point. Finally, space is limited on the boat and we encourage you to leave all unnecessary baggage in your car. If you don’t have a place to store your belongings we will be able to store surplus gear in our car. Can I scuba dive before I freedive? Due to medical restrictions, you must not scuba dive 24 hours prior to freediving. The reasons for this will be explained in our courses. Should I eat before I freedive? Generally, we only encourage light foods before and during the practical part of our freediving courses as food will interfere with breath holding capacity and diving. Heavy breakfasts can also make some feel queasy on the boat. Bananas, biscuits, and muesli bars are probably best. On the morning of a dive course we recommend a light breakfast before diving/going out in the boat – we do not encourage skipping of meals. Generally do NOT drink coffee / caffeine on the morning of a dive course (it elevates your heart rate). Contrary to popular belief, their is no statistically significant research that has proved that milk or dairy products contributes to sinus congestion and can interfere with equalisation though to play it safe for equalisation you might like to reduce dairy food consumption prior to a dive course. Is my diving course internationally recognised? Yes, your course is recognised by AIDA (International Association for the Development of Apnea), the world’s biggest freediving organisation. An independent evaluation of freediving organisations in 2013 by Deeper Blue found that AIDA International was the “clear leader” because they have had an education program in place since 1999. For more information on the results of this survey click here. Freediving Gold Coast realise that more and more people are doing freedive courses and, as such, we recognise prior learning (RPL) from other internationally recognised freediving organisations only (such as are SSI and PADI) and we can assess your freedive abilities and develop a cross over freediving program (see section below for more details) for you. Please don’t hesitate to contact us about course equivalencies and crossover freediving training programs. Once you successfully complete a freediving course with Freediving Gold Coast you will be registered on the AIDA website database which records your education history. Being registered allows you to undertake more advanced courses and with any other AIDA instructors anywhere in the world. Can I do an advanced AIDA freediving course if my certification is with another freediving organisation? Assessment of the level of knowledge of the student by means of passing a written exam at 75% of the AIDA course level equivalent to their certification level in their oganisation. Allow 1 to 2 hours for this assessment. Assessment of the pool or confined water skills in the AIDA course equivalent to the student’s certification level in their organisation. Allow 2 hours for this assessment. Assessment of all ocean or open water skills n the AIDA course equivalent to the student’s certification level in their organisation. This is typically one morning of about 4 hours including the boat trip to and from the dive site. Freediving Gold Coast charges $330 for this Crossover Evaluation which includes all boat fees and the certification fee. For example, if the student is wishing to undertake the AIDA 3 Advanced Freediver certification, and has a PADI Freediver certifcation, then the student will book for the AIDA 3 Advanced Freediver course. The student will then need to pass the AIDA 2 Freediver exam, and complete the AIDA 2 skills in the pool. Finally, the PADI Freediver will need to go out on an Ocean Fun Day so they can be assessed to ensure their ocean/open water skills are equivalent to the AIDA 2 Freediver certification. I was sent the course manuals in my introductory email. Do I need to study these before the course? The answer is: Nope. You don’t need to study your notes prior to attending your Ocean Freediver Course or the Advanced Freediver Courses. We go through the manuals with you in detail during your theory sessions. We send these through as a courtesy for those who are keen to get stuck-in. Please note, these manuals are not a substitute for tuition from an AIDA International Freediving Instructor and we do not encourage the practice of freediving until you have instruction from an internationally recognised freediving agency which will provide you with the most current in efficient and safest practices for the sport of freediving. Can I take my own camera with me when I freedive? Yes, you are welcome to bring your own underwater camera and we will try to take pictures or videos of you diving, where possible. We also take pictures and video and upload some material to Freediving Gold Coast Facebook and for use in other marketing material. Prior to the course you will be asked if you are happy to be included in these pictures. What’s not included in my course? Freediving Gold Coast does not pay entry fees to public pools for freediving courses – you will need to pay these separately when you arrive at the pool. We do pay for the hire of lanes in different pools. Remember – wetsuits are not included or provided as part of your course (see above). Freediving Gold Coast does not pay for transit or taxi costs to and from the dive collection point during freediving courses. Often, students car pool with each other once they have met on a course. Freediving Gold Coast certifies all successful students completing a course on the AIDA website but cannot order a certification card for you. AIDA prefers the electronic copies of cards as the ecological alternative to plastic cards. However, plastic sized credit card options can be ordered by the successful student from the AIDA website for 10 Euros. Freediving Gold Coast does not arrange accommodation during your stay on the Gold Coast for the duration of your freediving courses. Where can I stay on the Gold Coast? 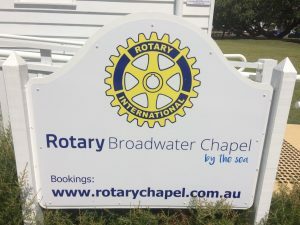 We recommend finding accommodation around Southport as the Gold Coast Aquatic Centre is located here for all our pool based components and the meeting point for all boat departures for the ocean component of our courses. Our office, Parkside Medical, is also located only some 10 minutes away by car. We have also prepared the following list which we hope is helpful and gives you some ideas where to stay while doing your freediving course with Freediving Gold Coast.